Blanca is 22 years old and is part of the Mayan Kaqchikel ethnic group from the municipality of Patzún, Chimaltenango. She is a a Clinical Psychology student and has attended various sexual health and rights events, including the advocacy camp for Policy and Reproductive Rights and Sexual Rights and the Peaceful Unions Forum. 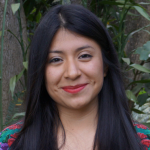 She is interested in being a promoter of human rights and integral education in sexuality in order to improve the condition of the lives of young adolescents in Guatemala. Blanca has given talks in rural areas to groups of young people on issues of sexual rights, stigma and discrimination surrounding HIV, and teen pregnancy prevention. 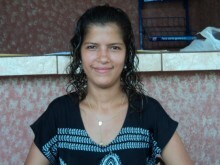 Although she has only recently been trained in the area of youth sexual and reproductive rights, she actively shares this information among informal groups of women.